If you were asked to summarize the mission of Jesus to one sentence, what would you say? On one hand, that’s a really critical question. For those of us who follow Jesus, it’s pretty darn important that we understand who he was and what he was about. Probably goes without saying. On the other hand, this is also a bit of a trick question. Nobody can say with full confidence that they have the exact right words to summarize the mission of Jesus. The Bible is not a glossary with clean answers located in the appendix, so we don’t have the luxury of airtight definitions. I learned this the hard way. I’ve shared some of my stories from coming of age in ministry at Willow Creek Community Church (1, 2, 3, 4, and 5 if interested). Willow Creek is a church with a lot of influence, and one of the real dangers for any of us who work in environments like that is thinking that we actually know more than we do. When people stream in around from the country to listen to the leaders of your church speak, it goes to your head real quick. I was 24 when I started working at Willow, and I worked in a ministry geared towards 20-somethings called Axis. Within a short amount of time I was speaking at Willow-based conferences on “GenX” ministry (something I’m embarrassed to now admit!) I loved doing it, but I can see now how arrogant I was in thinking I actually knew anything. When I would lead seminars on GenX ministry, I would always start with the same question in this blog: If you were asked to summarize the mission of Jesus to one sentence, what would you say? Of course, I knew all the answers, so this was a leading question. I was just waiting for them to demonstrate their lack of knowledge, so that I could then enlighten them. That sounds like a mission statement, doesn’t it? I figured you can’t argue with the actual words of Jesus. He said it himself – he came to seek and to save that what was lost. But after one of these seminars, an older gentleman came up and asked if he could have further dialogue with me about it (as an aside, here is how arrogant I was – he had been pastoring a church for nearly 20 years, but because it was small, and because I worked at Willow Creek, I still assumed I had the upper hand. Agh!). Well, I really didn’t know anything much about the kingdom of God, and besides, I worked at Willow Creek, so this was clearly an annoying conversation. I politely and paternalistically thanked him for his thoughts, and went on to some other really important thing I’m sure that I thought I had to do. I really regret treating his thoughtful comments with such a condescending attitude, and I hope I bump into him again someday to thank for sharing such a profoundly beautiful truth. Because he was absolutely right. 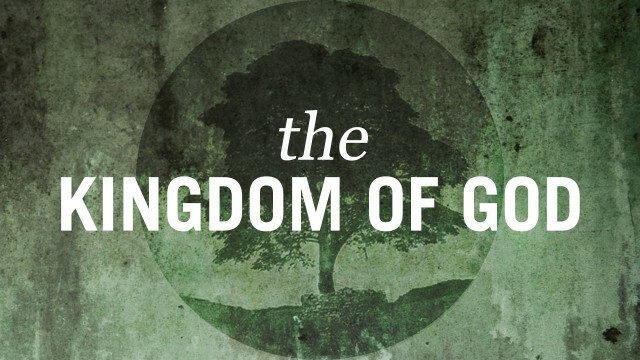 When I read through the Gospels and watch Jesus articulate his purpose and mission, it is very clear that he uses the language of the “kingdom of God” and “kingdom of heaven” more than any other single concept. There are many facets that are therefore part of his mission — you could easily make a case to build the answer around critical words like grace, love, equality, justice, restoration, redemption, and any other handful of amazing theological words. But it seems like they all do point back to this big idea: Jesus was all about the call to repentance, and to embracing the nearness of the kingdom of God. I am teaching through the book of Matthew right now at River City, and this past week I taught on chapter 10. This is Matthew’s account of Jesus sending out his disciples, and it’s a thick and profound passage. For this blog post, I want to focus on only one sentence, and stop there. This iss very attention-grabbing,You’re an overly skilled blogger. I’ve learned many important things by means of your post. I’d also like to express that there may be a situation in which you will make application for a loan and don’t need a co-signer such as a National Student Support Loan. But when you are getting financing through a traditional bank or investment company then you need to be made ready to have a cosigner ready to assist you to. The lenders are going to base that decision over a few elements but the greatest will be your credit ratings. There are some creditors that will also look at your job history and make a decision based on that but in many instances it will be based on on your credit score.